NEW DELHI: India will 'go up in flames' if it hangs a Muslim militant convicted for his role in an attack on Parliament in 2001, former J&K chief minister Farooq Abdullah was quoted as saying. Last month a New Delhi court set October 20 as the date for the hanging of Kashmiri Mohammed Afzal, triggering violent protests in Indian Kashmir. "You want to hang him? Go ahead and hang him ... this nation will go up in flames because the terrorists will do things which will destroy the relationship of the Hindus and Muslims here," Abdullah told CNN-IBN news channel. "Kashmir will anyway go up in flames ... there will (also) be turmoil which India will have to face. I am telling you." Abdullah, a senior Kashmiri politician whose pro-India National Conference party has often ruled the state, was speaking in an interview to be telecast on Sunday, excerpts of which were released by the channel on Saturday. Afzal was sentenced to death for his role in the attack when five gunmen stormed the parliament complex. The gunmen were all shot dead. Kashmiri leaders have said hanging Afzal would fuel a Muslim separatist revolt in Indian Kashmir that has killed more than 45,000 people since 1989. "You will be making him a hero for centuries to come ...you are giving a massive weapon to the separatists in Jammu and Kashmir," Abdullah told CNN-IBN . Afzal's wife has asked President A P J Abdul Kalam for clemency for her husband. It is not clear if the hanging will be carried out on the set date as the President considers the clemency plea. Family members of Mohammad Afzal Gooru, who is to be hanged on October 20, today filed a mercy petition before President A.P.J. Abdul Kalam even as a campaign got under way in the Capital to save him from the gallows. 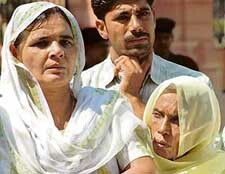 Afzal’s wife Tabassum Gooru, along with her son, filed the petition, seeking commutation of the sentence. Exonerated Delhi University lecturer S.A.R Geelani, who along with lawyer-activist Nandita Haksar is spearheading a campaign to save Afzal, told The Tribune. On the other hand, families of security personnel killed in the attack also approached the President, requesting him not to grant pardon to Afzal. The families, led by Chairman of Anti-Terrorist Front M.S. Bitta, submitted a memorandum at the President’s office, stating that any clemency shown to a dreaded terrorist like Afzal would only encourage anti-national elements. Those who submitted the memorandum included Jayawati, widow of Delhi Police constable Bijender Singh, Bimla Devi, widow of Head Constable Om Prakash, Bacchu Singh, son of Head Constable Ghyansham Patel, and Karamveer, son of Sub-Inspector Rampal. Speaking at a meeting by the Society for the Protection of Detainees and Prisoners Rights, he said death penalty was not the proper sentence. Claiming that the Supreme Court had given the punishment on the basis of circumstantial evidence, he said there was no direct proof to show his involvement. He alleged that the investigation had been shoddy and that Afzal was not provided with a lawyer in the trial court. “He was allowed to cross-examine witnesses, which only a qualified criminal lawyer can do in such a high-profile case. By allowing Afzal to cross-examine the witnesses, the trial court judge has made mockery of the whole judicial system,” he said. 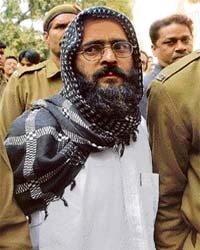 SRINAGAR: Mainstream politicians of Jammu and Kashmir, including PDP chief Mehbooba Mufti, have joined separatists in asking that Mohammad Afzal Guru, sentenced to death for the 2001 terror attack on Parliament, be pardoned. There have been widespread protests over the past three days in Srinagar against a court order setting October 20 as the date for the execution of Guru, who hails from the Kashmir valley. Mehbooba, whose PDP is part of the ruling coalition, called for a review of Guru's death sentence, saying this could affect the peace process in Kashmir. She questioned the wisdom of executing Guru at a time when India is building bridges with Pakistan and the people of Kashmir. Claiming Chief Minister Ghulam Nabi Azad too was in favour of clemency for Guru, she told reporters, "I'll suggest that all (political parties) -- the Congress, National Conference and PDP and other mainstream parties -- should together appeal to the President to change this sentence from death to life imprisonment. "Noting that Guru has a young son and elderly parents, Mehbooba said when Nalini, one of those sentenced to death for the assassination of former prime minister Rajiv Gandhi, could be shown mercy, the same could be done for Guru. The CPI-M too demanded a review of Guru's death sentence, saying the step would hamper the peace process in the subcontinent. "The execution of the verdict would make matters worse and given the seriousness of the situation, one cannot ignore the tumult caused due to the decision of hanging Guru and its negative impact on the peace process," said a statement from the party. A city court today fixed October 20 for hanging Parliament attack case convict Mohammed Afzal, a Pakistan trained terrorist, after the Supreme Court had upheld his death sentence in a final judgement in August last year. The death warrant for his execution at 6 am on October 20 was signed by Additional Sessions Judge Ravinder Kaur today as was required under the law after the apex court had finally decided the case. He was found guilty of actively participating in the criminal conspiracy that led to the well executed attack on Parliament on December 13, 2001 by heavily armed five Pakistani terrorists. 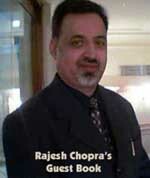 A special POTA court had given capital punishment to him, Shaukat Hussain Guru and Delhi College lecturer S.A.R. Geelani, but the Delhi High Court in its October 23, 2003 judgement had let off the latter and upheld the death sentence of the former two. Mohammed Afzal had not preferred any mercy petition before the President, a last opportunity available to a capital punishment awardee under the law for conversion of death sentence in to life imprisonment. But the Supreme Court did not find the evidence sufficient against Shaukat Hussain about his involvement in the conspiracy and converted his sentence to 10 years rigorous imprisonment for hiding the plot from the police of which he surely had a knowledge when he was running a business as a fruit trader in Azadpur market here. According to the prosecution, the five Pakistani terrorists had stayed in Shaukat’s house in Delhi but the apex court was not satisfied with the evidence produced. His wife Navjot Sandhu, alias Afsan, sentenced to five-year imprisonment, was also let off by the high court. In one of the fastest disposal of criminal case right from the trial court up to the Supreme Court, the POTA court had pronounced its judgement on December 18, 2002 exactly a year after the attack on Parliament in which all five Pakistani terrorists— Mohammed, Haider, Hamza, Rana and Raja — were gunned down by security forces. In the gun battle eight jawans had also lost their lives. The high court and the apex court took nearly three years to dispose of the case. In the final verdict, the apex court found sufficient evidence against Afzal and upheld his conviction and death sentence under various provisions of POTA (now repealed), the Indian Penal Code and the Arms Act. 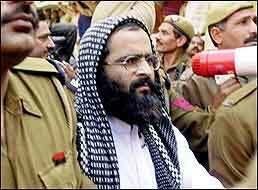 Afzal was found guilty of waging war against India, conspiring to cause murders of several persons and of indulging in terrorist activities. The Supreme Court had said there was not even a “shred of doubt about his complicity in the hatching of the criminal plot to attack Indian Parliament,” which fell in the category of “rarest of the rare” cases warranting punishment not less then the death sentence.